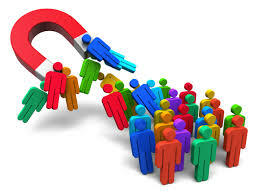 Customer Acquisition is the process of persuading a consumer to acquire a company’s merchandise or services. The cost from the important customer acquisition process is definitely an important measure for the business to evaluate in conjunction with how much value having each consumer typically brings to the business. Customer acquisition is crucial for every business organization to promote its products or services. Various marketing methods that are considered to be effective at Customer Acquisition include consumer referrals, customer commitment programs, and engaged in charitable events.